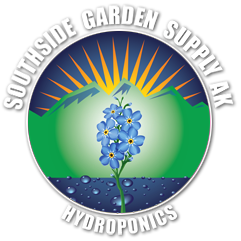 Southside Garden Supply of Anchorage, Alaska has indoor gardening equipment, greenhouse lighting and air systems, hydroponic systems, soils and fertilizers, and EVERYTHING an Alaskan needs to support productive indoor cultivation. Take advantage of our Exclusive Member Pricing and simplify your day with our 2 Super Stores in Anchorage and Wasilla. Find your hydroponic supplies quicker, and waste less gas getting here. Southside Garden Supply in Anchorage can help your cultivation business take root! Learn more about our Grow shop in Anchorage.